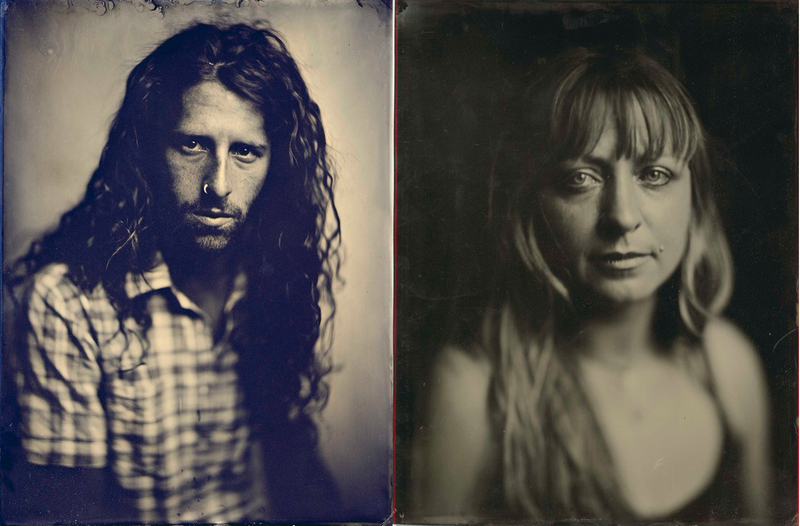 This summer, Santa Fe photographer David Hyams showed off some of his fantastic wet plate collodion portraits at photo-eye's First Wednesday Salon. Dave gave an informative and detailed talk on the process and his specific methods. To help illustrate Dave's explanation, we created a short video; Anne Kelly, photo-eye's Associate Director, was kind enough to not only sit for her portrait but also to share the experience with all of you! Wet Plate Collodion with David Hyams from Cliff Shapiro on Vimeo.